The cooling system in your car is vital to the proper functioning of the car’s engine and a malfunctioning or damaged coolant system may toy with your car’s efficiency and effectiveness. The car’s coolant system works by circulating a coolant and water mixture throughout the engine. When this system isn’t working properly, you risk running into expensive repairs. Fixing a coolant leak as soon as possible is crucial. If you have a leaky radiator cap, coolant will leak from the overflow tube when the coolant expands due to heating up. The radiator is a pressurized system so in the case of an ill-fitting radiator cap, the pressure will force radiator fluid out. This can be diagnosed with a pressure test of the radiator cap, as outlined in your owners’ manual. An internal leak will become noticeable when you start paying close attention to your coolant level and you see it dropping off. If you find yourself refilling your coolant to keep your engine from overheating, take it to your mechanic. 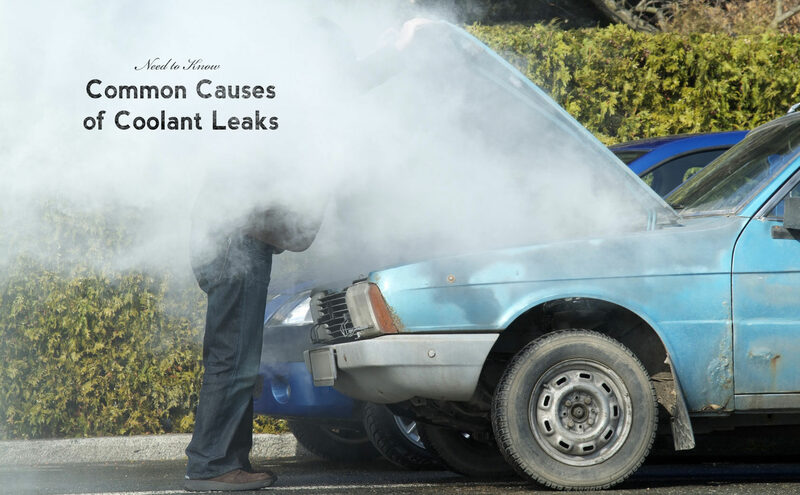 An internal leak could be caused by a leak in the engine block or even a leaky head gasket that allows your coolant to escape. More easily diagnosed is an external leak. The external leak will create a puddle beneath your vehicle when your coolant escapes and your vehicle overheats. The majority of the time you can spot where the leak is coming from by just peeking under the hood and looking for a split hose or a visible hole in the radiator. Also do a visual check for a leak in the water pump, heater core, or engine freeze plugs that can allow coolant to escape. Finally, thoroughly inspect the coolant reservoir for any cracks and holes. Given that the coolant in the main system is what is keeping the car engine functional, it will most likely not cause the car to overheat, but you will certainly notice coolant pooling under your car when it sits for long stretches of time. If you are concerned about your vehicle’s cooling system, give us a call and we will have your problem sorted out in no time.